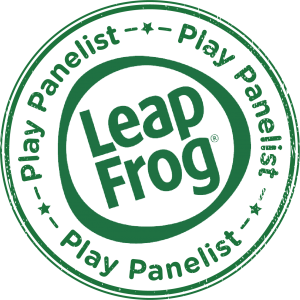 Dream Toys is a yearly event where the leaders in the toy industry come together to showcase their toys released in time for Christmas. 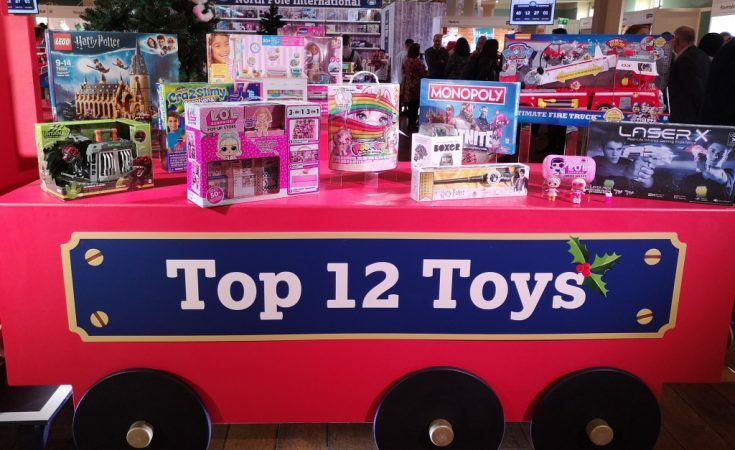 A panel of retailers and industry experts predict which will be the best and most popular toys of Christmas 2018; you know – the ones your kids decide they want after they’re sold out everywhere. Yesterday was Dream Toys 2018 and I went along to take a look. 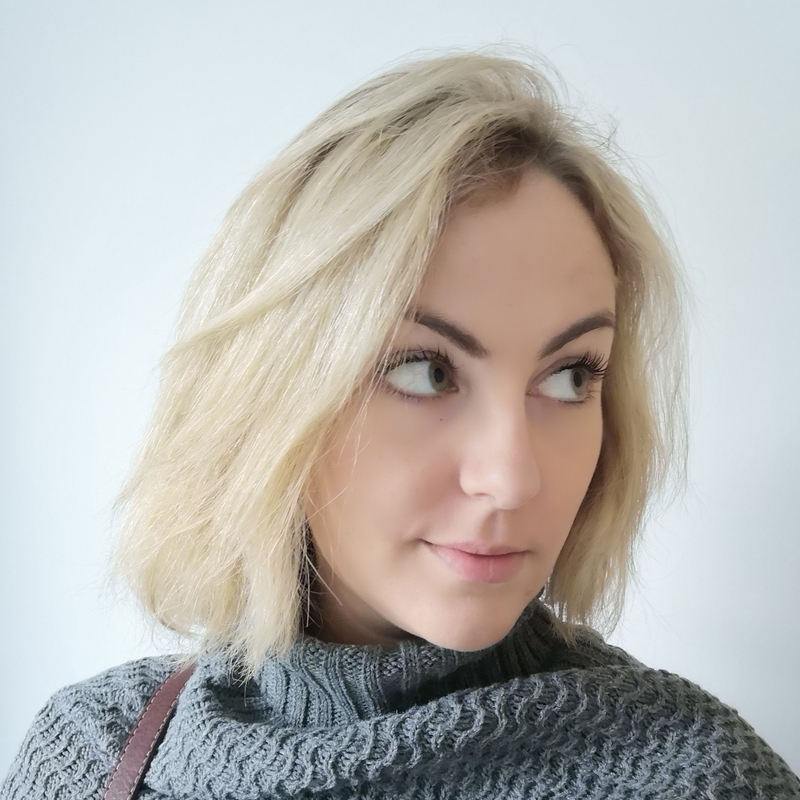 (Includes RRPs, which may not match the actual selling price. Links are to purchase on Amazon. You can find them all listed directly on Amazon in my Storefront here). The top 12 has something for everyone. 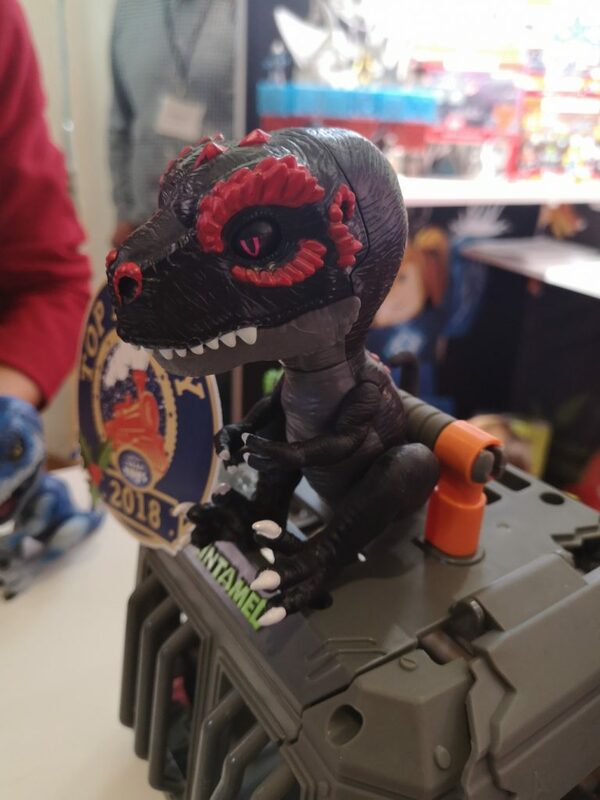 My favourites are the Paw Patrol Ultimate Fire Truck (reviewed here) and the Untamed Jailbreak T-Rex, but honestly the other top 12 toys didn’t wow me. My kids are a bit young for Harry Potter, I’ve never made a secret of the fact that I am not a fan of LOL dolls (the waste, the mess and the price! ), and I am happy to report that we live in a slime-free house thus far. Here are some of my personal favourites from Dream Toys 2018! These are the toys that will be on my children’s Christmas lists. 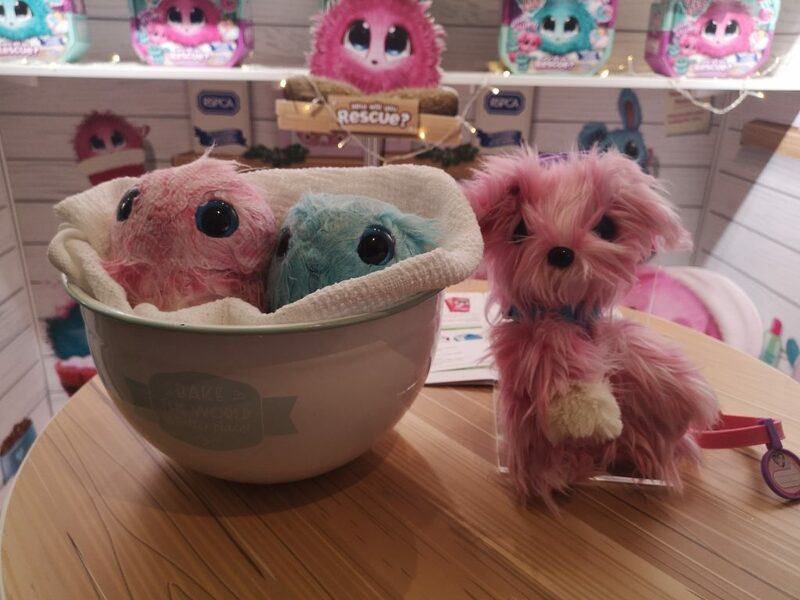 These toys start off as a ball of matted fur, you bathe them and brush them and care for them and you’ll find our whether you have a dog, a cat or a rabbit! Available in pink, blue or purple, a donation will be made to the RSPCA for each purchase. RRP £19.99. 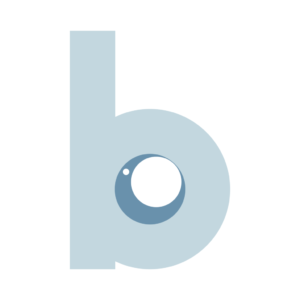 An interactive book with a small screen showing 3D images, we’ve had ours (reviewed here) for a while and the novelty hasn’t worn off. Currently available for a bargain price on Amazon. 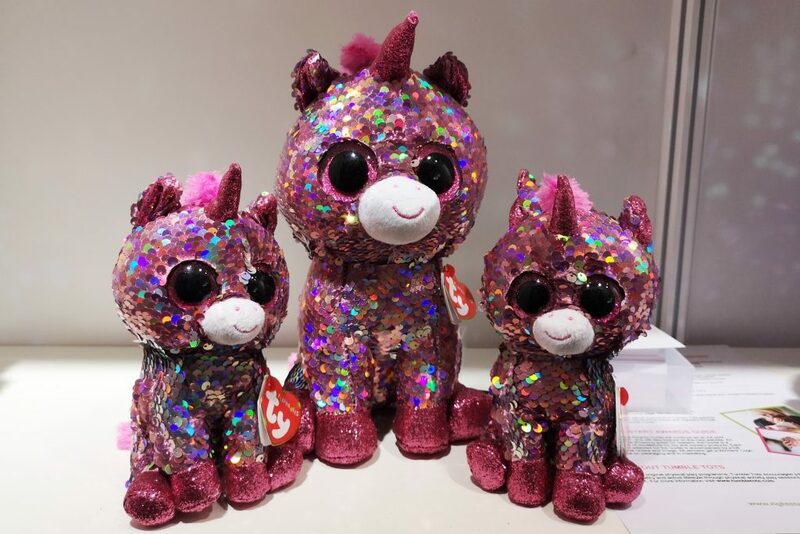 Beanie Boos now come with sequins which you can brush with your hand to change the colour. Available in different sizes and characters my kids would both go mad for these! There is even a range of purses, bags and shoes coming out soon. 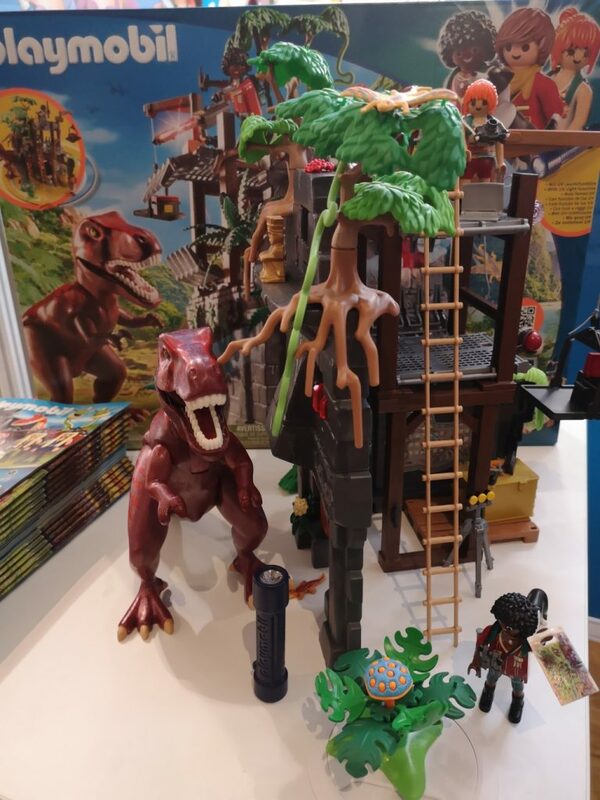 I love the look of this Hidden Temple with T-Rex playset. I’m sure the kids would spend hours playing with a set like this. There’s even a UV torch which brings up secret markings inside. RRP £49.99 and you get a lot of toy for your money. My son goes crazy for the Imaginext range whenever we are in a toy shop, and would love some for Christmas. 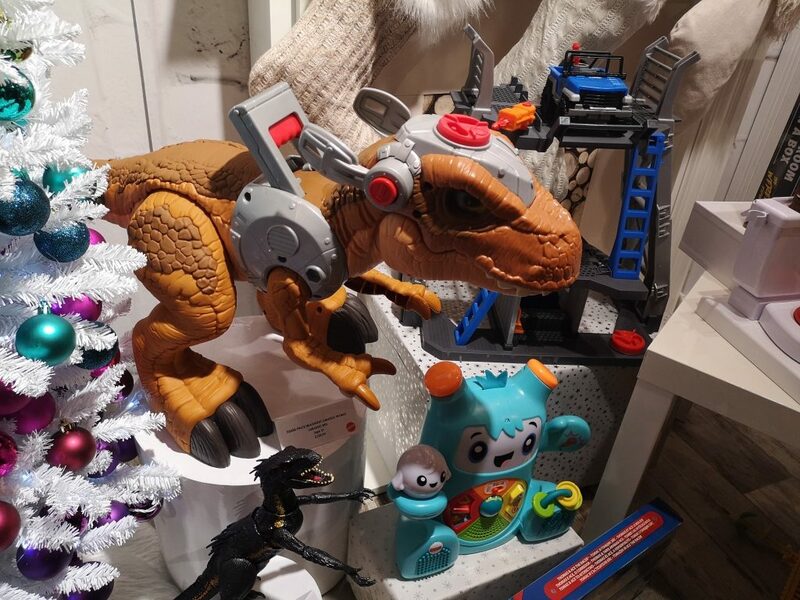 The Jurassic World T-Rex playset is huge, and not cheap – but if you have the space and the funds, you could make a small child very happy with this! We love Sylvanians (see our reviews here!) and the cutest and teeniest members of the family now have a new nursery. 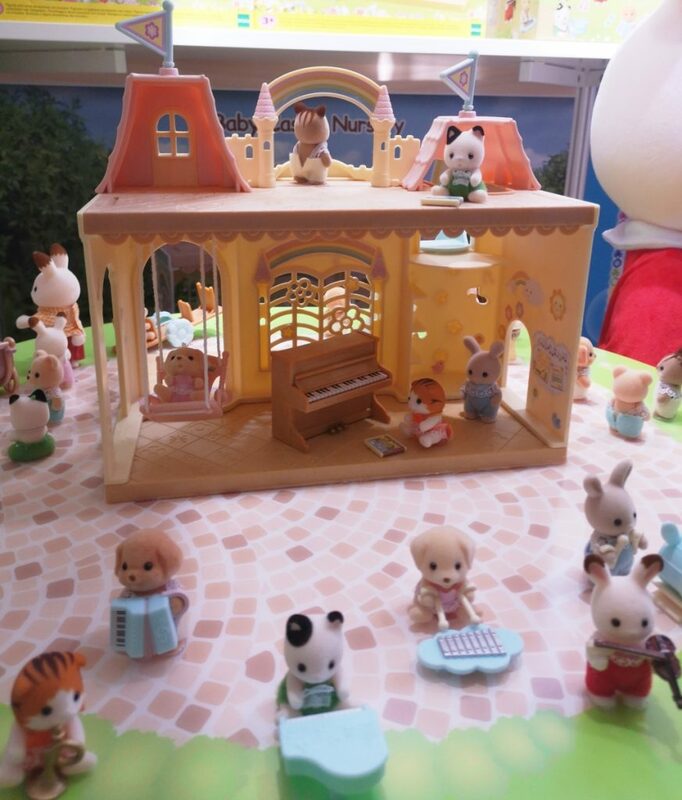 The baby Sylvanians can be bought separately, however the band members come in blind bags, each with a musical instrument.